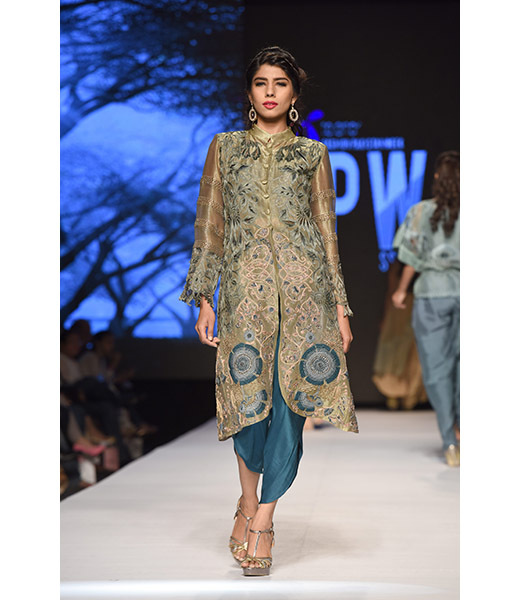 Sanam Chaudhri has a refreshing honest and upbeat approach to style. Her collections are smart and bold and never fail to surprise. Bearing an international appeal her designs have been successfully showcased in Singapore, London, and Dubai. 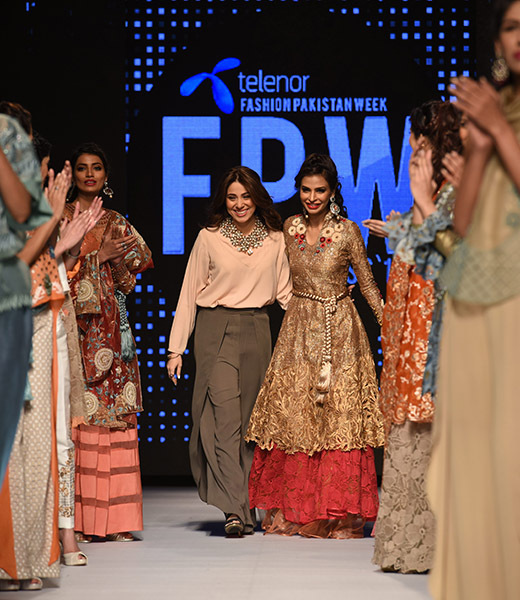 Her Western collection showcased at FPW3 was colorful and edgy comprising of neon jumpsuits and dresses. Aside from reigning the runways with her out of the box style ethos, she is also a brilliantly creative couture designer bringing together sleek contemporary cuts with intricate hand woven embellishments. Her designs are inspired from a blend of African tribal and sub-continental cultures. She enjoys the use of woven thread motifs with minimal fussy bead work to decorate her ensembles. Her pret wear is available at leading multi-label stores in Karachi, Lahore, and Islamabad. Orders for formals can be placed via appointment. 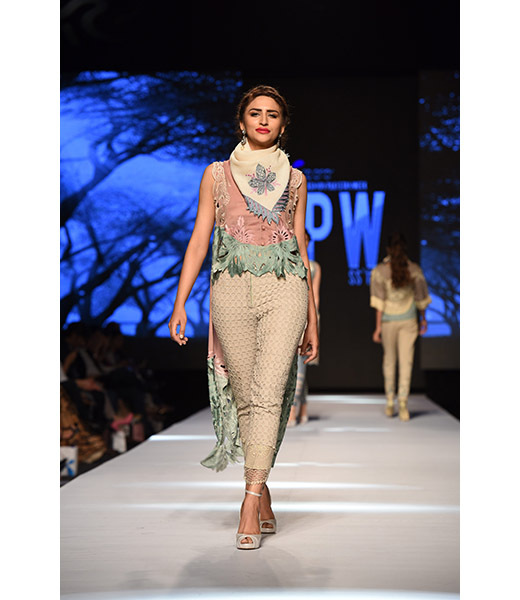 Her latest pret collections are seasonally showcased via private exhibits in Karachi. Visit our Events page for updates on upcoming exhibits. Stocking at Labels Karachi | L'atelier Lahore and Islamabad | One by Ensemble, Karachi and Lahore | Fashion Pakistan Lounge, Lahore.